OMCap 2016 – Online Marketing Conference and Classes, Berlin. Over 30 top international speakers from all areas of online marketing! OMCap 2015 – Online Marketing Conference and Classes, Berlin. Over 35 top international speakers from more than 10 countries from all areas of online marketing! OMCap 2014 – Online Marketing Conference and Classes, Berlin. Over 65 top international speakers – over 500 participants – all areas of online marketing! OMCap 2013 – Online Marketing Conference and Classes, Berlin. Over 45 top international speakers – over 600 participants – all areas of online marketing! OMCap 2012 – Online Marketing Conference and Classes, Berlin. Over 45 different speakers – up to four parallel talks covering all areas of online marketing! First PPC Masters in Hamburg Grünspan. This was in cooperation with the organizers of the Online Marketing Rockstars conference. 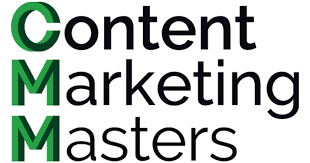 The first Content Marketing Masters took part in conjunction with OMCap 2014. This is why OMCap 2014 ran over three days: one day for seminars, one day for the Content Marketing Masters, and one day for the actual OMCap online marketing conference.